The following tuition fees are for all undergraduate UK and EU students starting in 2019/20 at University Centre Peterborough. The tuition fees for full-time undergraduate UK and EU students starting in 2019/20 will be £8,000 per year. The tuition fees for part-time postgraduate UK and EU students starting in 2019/20 will be £3,550 per year. EU students applying for a full-time undergraduate course at University Centre Peterborough in the 2019/20 academic year will continue to have access to student loans and grants, even if the course concludes after the UK’s exit from the EU. We advise EU students check www.gov.uk for latest information or you can speak to our Student Support team for guidance. The following bursary schemes are available to all undergraduate UK and EU students starting in 2019/20 at University Centre Peterborough. These bursaries are not available to postgraduate or HNC/HND students. 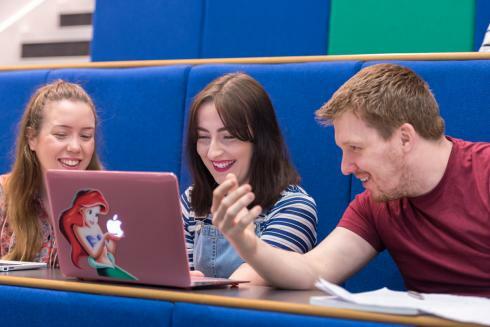 Every full-time undergraduate student starting in 2019/20 will receive a £500 cash reward after successfully completing each academic year with 75% attendance and no outstanding assessments at the end of each semester.